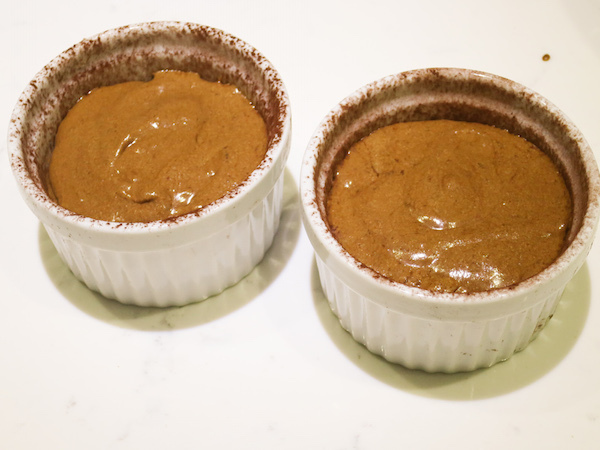 A quick post about an easy dessert that takes less than 30 minutes and is the best enjoyed hot from the oven with cold side such as vanilla ice cream or whipped cream – a Chocolate Soufflé. 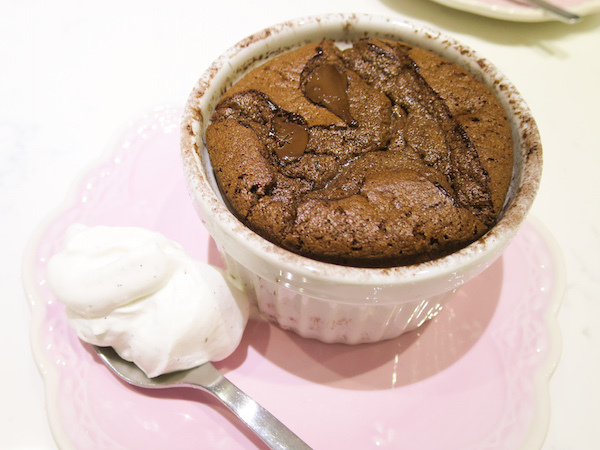 Souffles can be prepared ahead of time, refrigerated and baked when you are ready, which is especially great if you are preparing dessert for a bigger crowd. This version is made without added sugar using sugar free chocolate and sweetened with granulated stevia. The flavour is slightly bitter and tastes wonderful with sugarless whipped cream flavoured with vanilla bean. 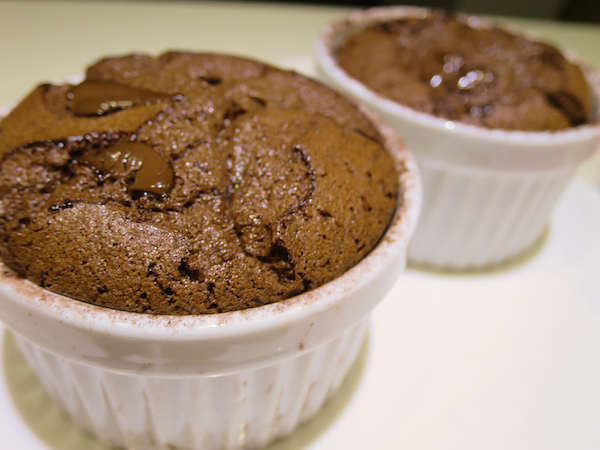 low carb chocolate souffle without added sugar. Preheat oven to 225ºC and prepare by measuring all ingredients. 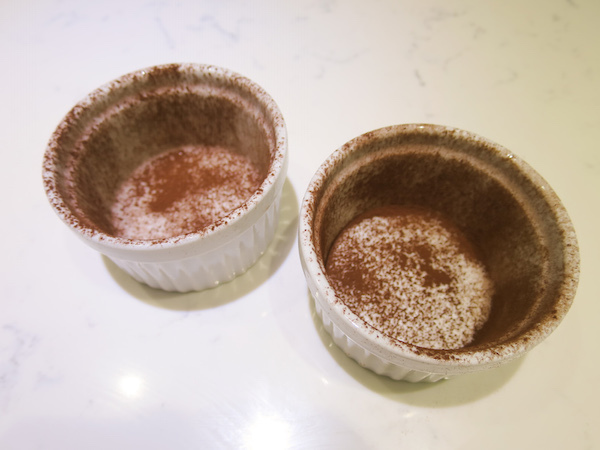 Take 2 ramekins and brush them with softened butter, dust with cocoa powder and place in refrigerator. 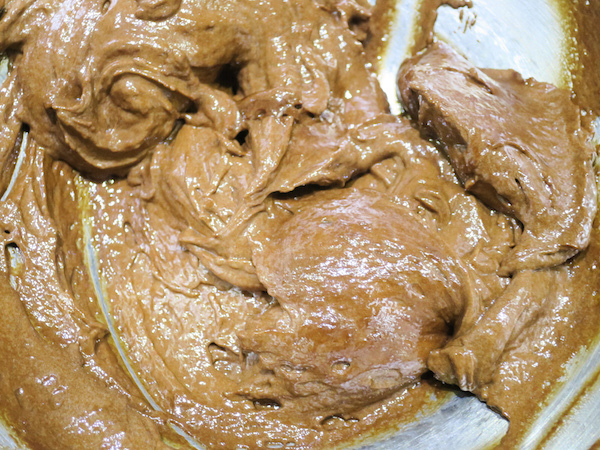 Place the remaining butter, stevia and vanilla into a mixing bowl and beat until smooth. 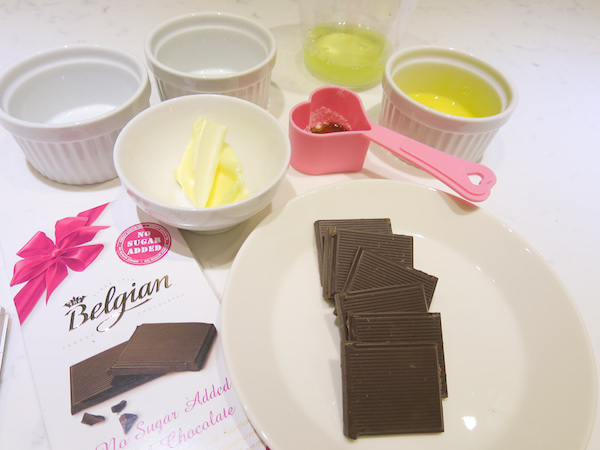 Add egg yolks and beat for 2 minutes then mix the melted chocolate in by beating on medium speed. 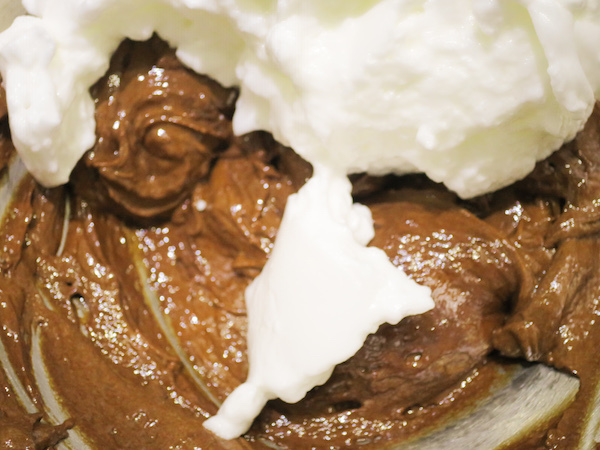 In a separate mixing bowl beat the egg whites until soft peaks form, then mix the egg whites in the chocolate mixture by gently folding using a spatula. Take the chilled prepared ramekins and divide the batter equally filling up to 2cm from the top. 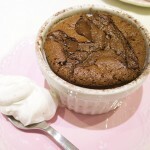 Bake in your preheated oven for 10 minutes and serve warm with sugar free vanilla flavoured whipped cream.